The Management of the club. João graduated in hotel and tourism management from Centre International de Glion in Switzerland in the 80's and worked for over 10 years in management positions in the hospitality industry as well as in the fast food industry, in franchise development. During his career, João has lived in several countries and now is based in Portugal, his home country. 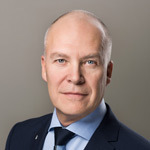 Anders commenced his business career in fast moving consumer goods where he founded and grew a significant retail business in Sweden. He subsequently began working as a Director for over 15 years in a number of membership based businesses including All Communications Networks a US based direct sales businesses of Telecom, Energy and essential consumer services. He speaks fluent Swedish, Norwegian, Danish and English. Soraya has over 20 years experience in various companies. 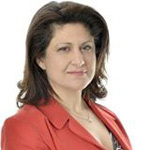 Soraya is a Director of Anderson Property Developments Ltd. and Chairperson of Business over Breakfast Heathrow. 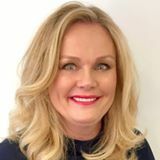 Janne has substantial experience of performing office management, recordkeeping and accounting tasks of club / member management. 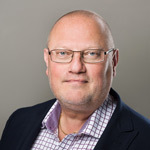 Janne has in-depth knowledge of the Clubs administrative controls and their implementation including the club’s website management. Angel Business Club works with a carefully selected team of business professionals who continuously add value to our client companies and assisting them in reaching their goals faster and in a more effective way. In our evolving community we will invite people with core and special competences to grow our team and collective expertise. 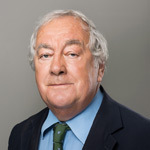 He was a Chief Executive of the National Research Development Corporation, a UK Government backed venture capital organisation which oversaw the exploitation of many of the leading UK innovations. He was later a Senior Vice President of Merrill Lynch and in recent years has been Chairman of some five AIM or Plus Listed public companies. Dominic began his career in media in the film Industry as an assistant director. In 1994 he was awarded the Colombia Studios scholarship to the National Film and Television School (NFTS). On leaving the NFTS he went on to successfully produce a number of feature films and adverts, finally selling his production company to the K Media Group Limited. In 1998 Dominic co founded Switch2.net, pioneering one of the world’s first online TV platforms. In 1999 he joined BlackStar Associates, the largest online video and DVD retailer in the UK, as Managing Director. BlackStar was awarded British Video Association Best Online Retailer Award in 2000. 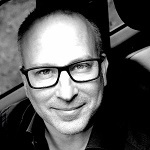 Dominic was appointed Managing Director of Europe for Umbro.com, a specialist sports oriented dotcom headquartered in London and owned by Doughty Hanson & Co, one of Europe's largest independent private equity fund managers. In 2003 he founded Venue Solutions, a strategy consulting business targeting the sports, arts and leisure markets to improve management of any type of venue. In 2005 Dominic lead the flotation of Venue Solutions Holdings Plc on to the AIM market. He founded Tangibal Group Plc in 2008 which he listed on the German stock exchange in 2009. He exited the business in 2012 when he sold the business to Universal Outdoor. 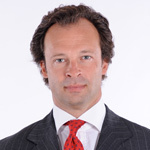 Since 2013 he has worked in Corporate Finance advising businesses on their corporate development. An honours graduate from Wellesley College, Mary Lee Copeland’s leadership style is inspirational, but her track record is results-driven. Mary Lee is the founder and executive creative director of The (next level) Storytelling Academy in Stockholm, she delivers storytelling strategies and production for brands of all sizes, top level creatives, executive management teams, colleges, universities and a variety of institutions. She is an established, internationally-known keynote speaker, seminar presenter and workshop facilitator on Storytelling, covering the stages of TEDx, Cannes Lions Festival of Creativity, Eurobest in Finland, Danish Broadcasters Association in Copenhagen and recently the Web Summit 2015 in Dublin. In 2009, IKEA worldwide chose Mary Lee’s proposed storytelling theme for their global branding and marketing. She was the executive creative director for Bongo Advertising Agency based in Helsinki. Prior to founding Bongo, she produced over 950 commercials as an agency producer with top international agencies DDB/Stockholm, McCann Stockholm, DDB Result/Amsterdam, Hasan&Partners, Bob Helsinki, for clients such as H&M, Viking Line, McDonalds, IKEA, VW, Helsingin Sanomat, Seppälä, Nyt Magazine and KOFF, to name a few. She was a member of the creative team that won the H&M global account for the Finnish agency Hasan & Partners in1999. Dedicated to education, she has developed storytelling curricula for schools such as Hyper Island, Berghs SOC and Stockholm University. She has mentored young entrepreneurs and emerging small brands, worldwide. 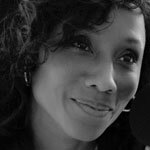 In 2011, because of her advertising track record, Mary Lee won The Swedish Television and Film Producers Royalty Award for her results and that same year she was listed as one of the Most Powerful Black Women in Europe. She was also awarded a public school “Living Legacy” by the state of Virginia for the results of an extraordinary career. Brand Creation, Business Strategy, Planning and Implementation, Consumer Engagement , Experiential Retailing, Consumer Insights and Journey mapping, Innovation Strategies, Marketing.